A handy audio-visual guide to the best gigs this October. 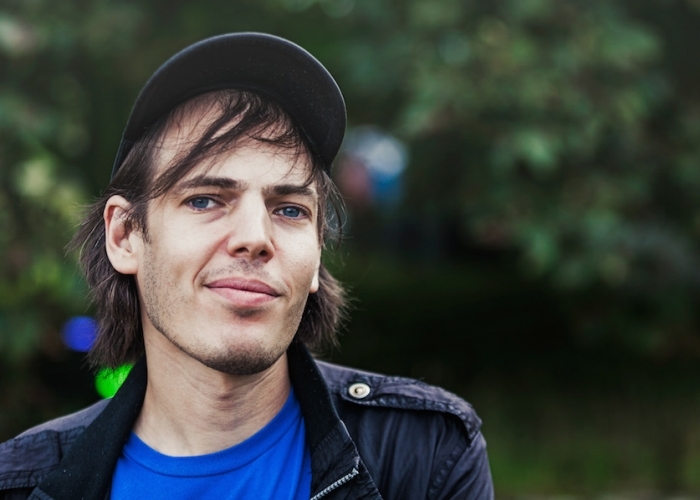 Dictionary Pudding are thrilled to announce the return of American anti-folk /DIY songsmith hero JEFFREY LEWIS and LOS BOLTS to London in October. Having sold out his recent solo London shows in the blink-of an eyeball, Jeffrey returns to the UK with his brilliant full-band show for two intimate October evenings at the Lexington. Don’t sleep on tickets – these will fly! Flashback Records celebrates its 20th Anniversary with a live event at the award winning Islington bar and music venue The Lexington. Founded by Mark Burgess in 1997, Flashback has traded the best rare and collectable vinyl records from its original Essex Road over two decades, expanding to three London locations now with shops in Islington, Shoreditch and Crouch End, keeping the music alive for all vinyl lovers. Live performances from psychedelic indie rockers Dead Coast, a live electronic production from Andi Nixon (Death Count In Silicone Valley) & Lindsay Corstorphine (Cold Pumas/Sauna Youth) plus etheral alternative rock from Red Horses Of The Snow and “wall of noise” experimental rock from Ace Of Wands. Subway Sect were without doubt one of the finest punk bands of the era but you’ll never know because they released just two singles over a 2 year period and one John Peel Radio session. Meet Jerkcurb the singer-songwriter, cartoonist/animator and visual artist from south London. He’ll draw you in with his slow-paced British brand of melancholic guitar pop. Noisey have said that “This is music made for the big moments” and NME wrote “Jacob’s a don at making tight-lipped, atmospheric and uniquely British-sounding melancholy come to life on record.” Jerkcurb has received this praise because of his clever song writing style and fresh yet familiar sounding songs. The sound is strikingly gorgeous, as an artist he’s like a combination of fellow south Londoners Jamie Isaac and Cosmo Pyke – if they combined to make a tune while they were feeling gloomy yet creative. Mainstream comparative translation: an incredibly upset James Blake + Mac Demarco = Jerkcurb…sort of. His second full-length album, “Upwards of Summer” (Make It New Records / Kartel Music Group 2017) marks a change of pace. It is an album that very nearly didn’t happen at all. At the end of 2016, worn out and disillusioned, Long found himself wondering whether he would continue making music. Instead, he tackled the burn-out by writing, “remembering what it what it felt like to pick up a guitar for the first time, and tapping into that place of instinct”. He then took these songs into the studio with his touring band and producer Margo Broom (Fat White Family, Phobophobes, Goat Girl) for a one-week stint – a liberating process he credits with “healing [his] relationship with music.” Long says, “I didn’t doubt, I didn’t second guess, I just trusted myself and I trusted those around me.’ The resulting album is a revelation. The piano, strings and woodwind of his debut are nowhere to be seen, exchanged for a jangle of chorus guitars and anthemic hooks that make up a thrillingly confident return – a powerful set of songs exploring the binaries of frustration and excitement, youth and age, restlessness and homesickness. Legendary band praised by the late great John Peel are playing a very rare show for your eyes and ears. Featuring a mix of 60’s garage, noir, tantalizing tales and a unique cinematic sound. Featuring Ex-Gallon Drunk drummer Max Décharné, guitarists Huck Whitney and Mark Hosking, bassists Paul Dempsey, and Joe Whitney on the drums. In 2014 Get Your Gun released their acclaimed debut album ‘The Worrying Kind’ and went on to tour Europe playing more than 100 concerts. The uncompromising dualism on the debut is modified and the moods blend on the coming album, ‘Doubt Is My Rope Back To You’. The band’s tremendous, dynamic fluctuations are now armed with a greater patience bolstered by hypnotic rhythms, atmospheric layers, and Andreas Westmark’s proclaiming vocals. Crawling out of the darkest corner of the now legedary Fluffer Pit Parties we bring you the debut gig from Japanese Television. San Francisco formed garage-rockers with touches of pastoral psych, moody new wave, western twang and jangly guitar pop as heard on Woodsist, Captured Tracks, In The Red, Sacred Bones and Castle Face. Bristol based artistic trio Katy Sargent, David Havard and Luke Thornton form the undeniably groovy band, Elder Island. Following the success of their 2016 Seeds in Sand EP release, they will be bringing their unique performance to The Lexington! The Proper Ornaments formed in London around songwriters James Hoare (Veronica Falls/ Ultimate Painting) and Max Oscarnold (TOY). After signing up with Fortuna Pop in the UK and Slumberland in the US, and revamping the line up with the addition of drummer Robert Syme and Daniel Nellis on bass, the group toured with Metronomy, TOY, The Horrors, Crystal Stilts, Woods and returned with their debut album, Wooden Head, in the summer of 2014. Earlier this year the band released their second long player, Foxhole. Their sound gathers elements of classic UK indie pop with shimmering jangling guitars that blend with rich harmonies reminiscent of the west coast 60’s groups, and in their live shows they take these sounds to a more motorik and heavier realms. Human Pyramids is the explosive and uplifting project from Scottish composer Paul Russell. The debut album “Planet Shhh!” received glowing reviews across national press, frequent BBC 6music plays and soundtracked countless documentaries, films and adverts. The jubilant live show features a 16 strong ensemble and has seen appearances at End of the Road, 2000 Trees and Glastonbury festivals. The new album “Home” takes the energy of punk and fuses electronic elements with soaring orchestral arrangements. An intimate show from The Dream Syndicate. It feels like the perfect mix of everything we loved and everything that followed in the wake of what we did and what we loved. It sounds like everything that I loved about the Dream Syndicate and yet sounds unlike any other record we made. It’s what we did but it’s also what we do. Dennis, Mark, Jason, Chris and I set the bar high. It’s the way it had to be. And you know what? We cleared that bar with room to spare. And that’s why it’s a finished record and will be available to listen by more people than just ourselves. We couldn’t be happier.